EMERGCO rope lifting lanyards are used between the helicopter cargo hook and the transported external cargo load. Our double braid Technora® composite and Plasma® 12-strand rope lifting lanyards are more aerodynamic than flat webbing lanyards and more compact and lighter than wire rope lead lines. 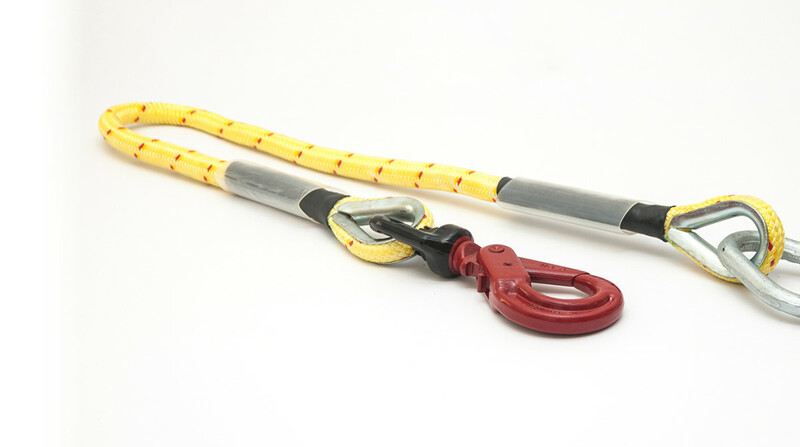 Polyester webbing lifting lanyards are also available upon customer request; our standard webbing lanyard is constructed of 2-ply 1 3/4” webbing with a heavy-duty ladder hook. We also offer multi-point lifting bridles constructed with the same materials and design as our single-leg lanyards. All Emergco equipment is covered by our $3M product liability insurance for aviation operations.